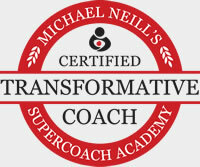 Experience a taste of transformative coaching – get your questions answered, speak up, be heard. ALL in a FREE, 30- to 45-minute conversation with me, based on the Inside-Out Understanding. Maybe it could be a conversation about peace of mind (more ease, less striving), or playfulness and creativity, or having ‘better relationships’. Or, we could talk about the notion of “innate happiness”, nothing being wrong, and other facets of the inside-out understanding. NOTE: The details you enter here will safe. We take your privacy seriously. (As does Acuity Scheduling - the software service we use.) See our terms and privacy here. Free LIFE AUDIT: What’s In It For You? What exactly is a ‘life audit’, anyway, Steve? Simply enter your details above and let the “life audit” begin!